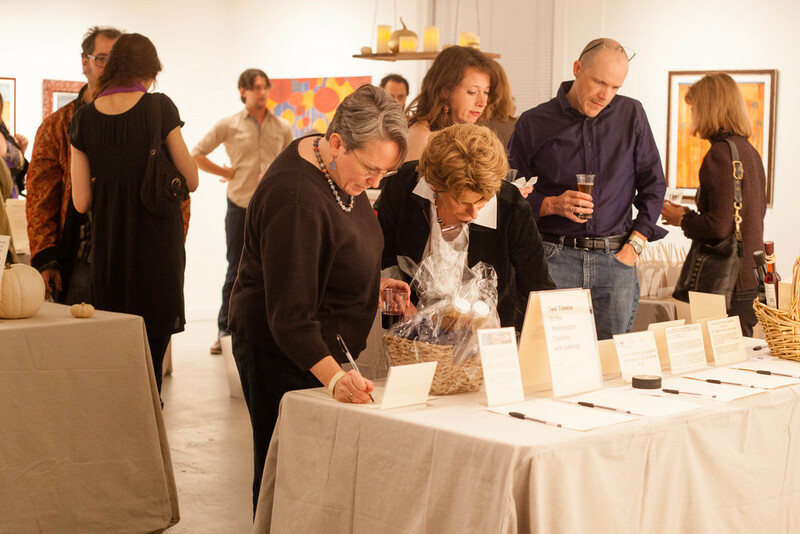 Just a week ago we held our annual fundraiser to raise, well, funds, for our programs and new building project. That one evening was the culmination of months of work for our staff and volunteers. It’s a high stress adventure with so much on the line. During those weeks I was told that I’m intense, and I guess I have to admit to it. There are several really good reasons why I’m intense(ly passionate) when it comes to Art Works. From a selfish perspective, I have found, after over 50 years of orbiting the sun on this whirling dervish of a planet, the reason I was put here. All my years of passionate activism for a number of social justice causes and my passion for the visual arts have found a way to come together in one place. And there is no better feeling than knowing that one is doing the work one was created to do. More importantly, I feel a tremendous sense of responsibility to the families impacted by Art Works. This stretches from the families whose children participate in our programs to the staff and teaching artists we employ. This sense of responsibility intensifies again and again. It is heightened when I see the faces of the five children from one family who now visit our Kids Create programs every afternoon thanks to partial scholarships. I know we are offering their family something important. I see it in their smiles and feel it with their hugs and questions like, “Can we have a Halloween Party at Art Works? !” Something in that question says Art Works has made it to an important place in that child’s life. It is heightened when we receive a contribution from a supporter of Art Works. It is incredibly humbling to experience this show of support. It is not just money to us. It’s so much more. It’s like love and belief and possibility all wrapped up together. Thinking about this I realize that the common thread here is connection. When we are connected to one another through smiles, hugs, classes, or contributions, we experience a sense of responsibility to one another. This connection adds yet another dimension to the notion of art working. Because if our mission is to create a better world through the visual arts, I am heartened by the knowledge that once we have connected – even once – we have begun this work already. Our new mantra is “Create the world you imagine.” By simply connecting, I now see that we are indeed doing the important work to do just this. Please join us in creating the world we can imagine together. Share our programs with your neighbors and community members. Let them know that we’re here and that there are no financial barriers too great for us to work together in this creative endeavor. We can only succeed in our work if we are accessible to everyone in our community. So many assume they can’t afford an art class. We’ve changed that fact. Now we need your help changing the assumption. So, help us create the world we imagine. Tell a friend how Art Works Now.